No matter which holidays you celebrate this time of year; we all experience the same sense of anticipation and excitement, the same yearning for familiar traditions. An act that, if missed, makes the special day seem not quite complete. The best traditions are those that bring families together. Sharing the same special story each year on the same special day is a simple tradition that evokes heart-warming images of snuggling up together in a cozy spot and reading a favorite story. Perhaps it is one you enjoyed as a child and are now able to share with your own little ones. Or maybe it is a book you and your children are discovering together for the first time. Regardless of which book you are reading, it is the act of reading together that is most important. So, how do you choose just the right book for the occasion? Really, any book that is significant to the event will do. A book given as a gift to celebrate a child’s birth or adoption can be read each year on the child’s special day. A book about winter can be read after the first visit from Jack Frost, and books treasured by parents in their youth can be shared with their children when they reach that same particular age. The possibilities are endless. Thousands of families across country have embraced this tradition of leaving wrapped books for loved ones to discover on a day that is meaningful to them, beginning the special day with a special gift. We invite you and your family to join the fun! For those of you with little ones, try giving gifts of books for them to find on their beds for them to open right away; not only will they see books as an important gift, but, it may also just keep them in bed a little longer that morning! For more information about “A Book On Every Bed” please visit www.familyreading.org. When a child starts kindergarten there is some nervousness about all the unknowns. “What happens if you spill your milk? Are there mean people at school? How will I get lunch? 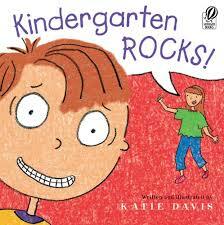 What if I get lost?” In “Kindergarten Rocks!” by Katie Davis, Dexter’s sister, Jessie, who is really old now (in 3rd grade), reassures her brother Dexter that everything will be ok. Dexter takes along his stuffed dog, Rufus, for comfort and finds out that school is fun! The author describes kindergarten activities including art time, play, dress-up, listening to books, the play-dough table, and writing. The book’s illustrations are rendered in crayon, which adds a child-like quality to the story. When your family is expecting a new baby, your child will have lots of questions. “What Is He Doing Now?” by Patti Farmer and Janet Wilson nicely describes events during a pregnancy from the point of view of a little boy waiting to meet his brother or sister. Illustrations are realistic but loosely done in watercolor and colored pencil. The boy wonders: Is the new baby growing in mommy’s tummy? How is the baby breathing in there? How does he eat? What will he do when he is born? This book gives plenty of opportunity to talk about how your child feels about a new sibling. For the very young child, “Little Chicken’s Big Day” by Katie Davis and Jerry Davis is a simple book about what it’s like to be little. “I hear you cluckin’ big chicken,” says the little chick. But just like any two-year old, this little guy is easily distracted wanders off to chase a butterfly. Now where did big chicken go? Little chick can’t find his mama at first, but there is a happy ending. Illustrations of the mother and child chickens are bold yellow images outlined in black. 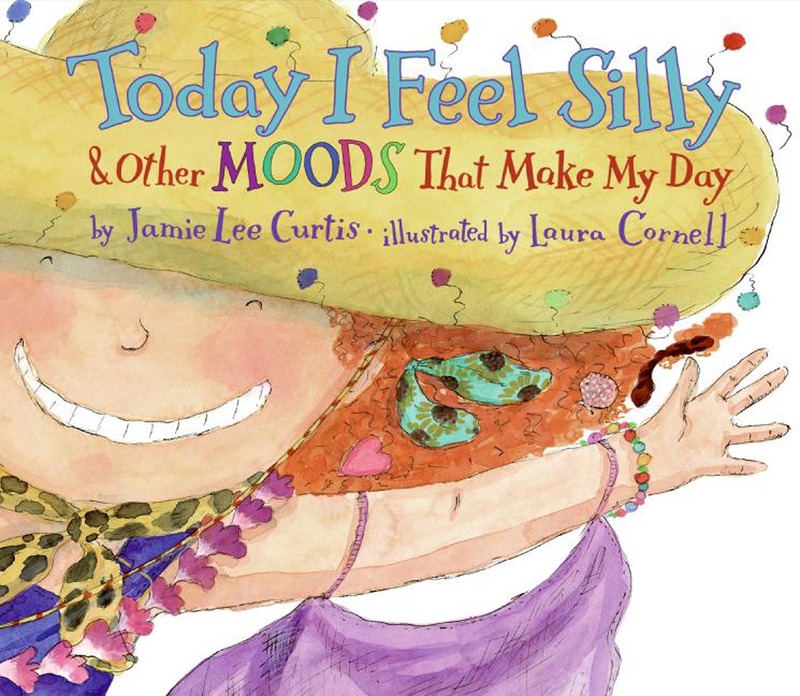 “Today I Feel Silly and Other Moods that Make My Day,” by Jamie Lee Curtis, with pictures by Laura Cornell illustrates how many emotions a child can experience, including silly, grumpy, angry, joyful, quiet, confused, cranky, and lonely. Children will see that all of these emotions and the different shades of feelings are ones they may experience at times and are normal. This is a playful book with rhyming text and whimsical illustrations.